General Converting is happy to work with you as a customer whether you know exactly what you want already, or whether you are still at the planning stage and would benefit from a selection of ideas. Our structural design team can look at the requirements of your job and come up with a variety of options for you to choose from. General Converting appreciates a challenge and we don't shy away from being creative. General Converting may make boxes and custom specialty packaging, but GCI thinks outside of the box when it comes to packaging design. All of our packaging is custom designed and custom manufactured to perfectly match the needs of each customer. Every folding carton is manufactured to be a perfect balance of form, fit and function. At GCI, there is no voicemail. When you call, you will speak to a real human being, and a real member of the GCI family. And, in the same way, your job will be handled with care from start to finish by our dedicated personnel. Sustainability has been a priority since the origin of our company. 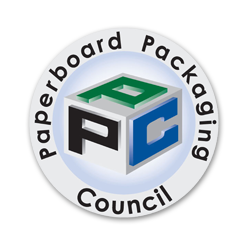 From the outset we've recycled as much paperboard as possible. Now General Converting purchases all of our electrical power from a 100% renewable source (i.e. wind power). The size of our company and the "can-do" nature of our people allow us to approach new ideas as concepts and opportunities to meet challenges. The spirit of pushing beyond norm, the idea of being true to yourself and being true to your fellow work-mate fuels the people of General Converting Inc.